Roughly one year before DeburringEXPO opens its doors for the third time, more than 70 companies have already made firm bookings for their booth floor space. This is a strong indication of growth for the trade fair for deburring technology and precision surface finishing, which will be held in Karlsruhe from the 8th through the 10th of October, 2019. Even greater attention will be focused at the upcoming event on the optimisation of deburring processes for sheet-metal components and additively manufactured parts, as well as parts cleaning after deburring. Added value will be provided by the DeburringEXPO expert forum which is in great demand as a source of knowledge and will offer simultaneously interpreted (German<> English), highly practical presentations. As a technology platform for deburring, rounding and the production of precision surface finishes, DeburringEXPO provides a representative overview of the relevant systems, processes, tools and equipment, as well as measuring, test and analysis systems. The exhibition portfolio covers processing of workpieces and components made of practically all technical materials and from nearly all industry sectors. 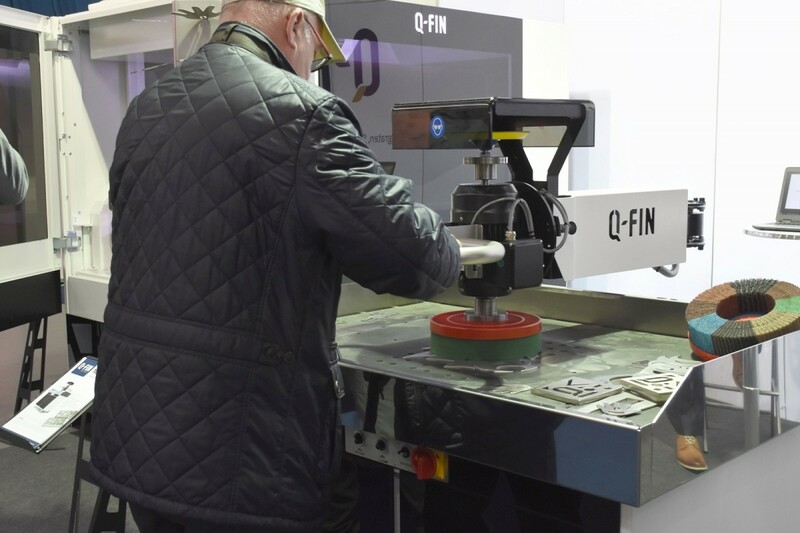 “At the upcoming trade fair, even more attention will be focused on the deburring of sheet metal components than at previous events, in particular lasered parts and stampings, flame-cut and fine-blanked parts, as well as additively manufactured workpieces. Furthermore, we’ll also place more emphasis on parts cleaning after the deburring process”, adds Hartmut Herdin. Further issues covered by the exhibition portfolio include training and technical literature. Offerings presented by the exhibitors will be rounded out by the integrated 3-day expert forum at DeburringEXPO, which has established itself as a highly popular source of knowledge. With simultaneously interpreted (German <> English) presentations, it provides visitors with the opportunity of expanding their knowledge in the fields of deburring and rounding, as well as the production of precision surface finishes. Beyond this, examples based on actual practice and benchmark solutions provide ideas and stimulation for the optimisation of processes at one’s own company.